Exposure to a large amount of advanced repertoire. During my degrees I was required to attend and perform in studio class, piano department recitals, and music department recitals each week. I spent hours sitting and listening to advanced repertoire every week. I don’t think I would have experienced this amount of live performances outside of higher education. This gave me a familiarity with the repertoire that would have been challenging to attain on my own. Constant evaluation of my teaching. During both of my degrees, my teaching was frequently evaluated by peers and teachers. This included live evaluations, with someone sitting in to observe, and video evaluations. If you’ve never recorded your teaching and sat in a room full of piano pedagogy graduate students to critique that teaching you haven’t lived ;). But seriously, I learned so much from the attention to detail in teaching. Detailed study of a variety of method books. In both my undergraduate and graduate pedagogy courses we were required to study and evaluate all of the major piano method books. This included Faber Piano Adventures, Hal Leonard Student Piano Library, Alfred Premier Piano Course, and many more. We had to evaluate the strengths and weaknesses of each method. I became familiar with the major methods and was able to make an informed decision about what I would like to use in my teaching. New method books are introduced all the time. Now I feel like I know how to evaluate them for myself and determine whether they are worth using in my teaching. Connections with colleagues in the field. Piano teaching can be a very solitary profession. 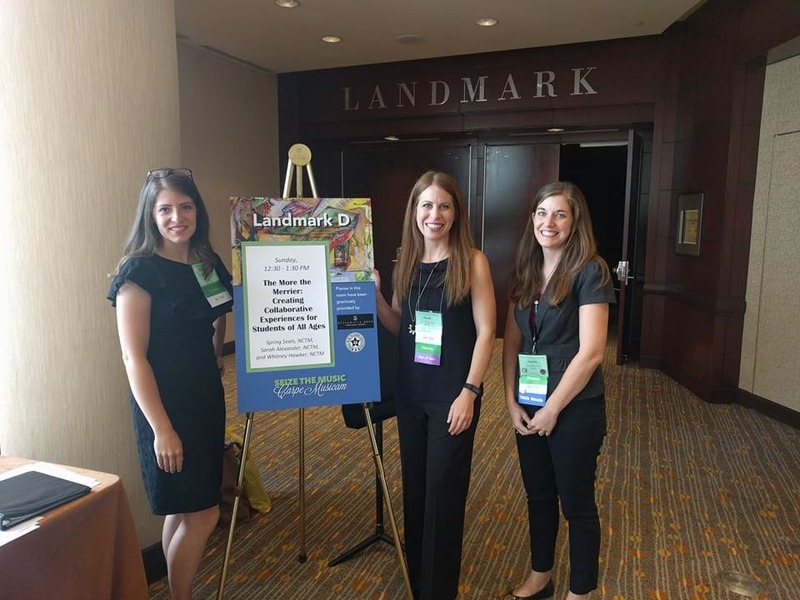 Having connections with others in the field of teaching isvery valuable. Higher education is not the only way to make these connections, but it’s a good way to do it. Whitney (my co-blogger here at 4D) and I met through our graduate program at TCU. We most likely would not have connected any other way. My professors have also been great resources and connections. 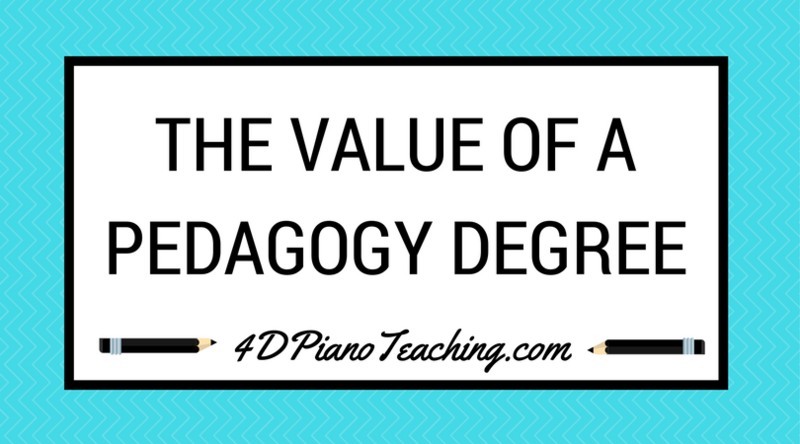 Does teaching piano require a master’s degree in piano pedagogy? No. But am I a better teacher because of the years I spent in school? Definitely! I know that I am a far better teacher than I would have been coming straight out of high school, and even right out of undergrad. Could I have learned these things without the degrees? Sure. But it would have taken me a lot longer time, and it would take a lot of self-motivation. I don’t think it’s impossible to be a good piano teacher without a degree, but I do think you are much more likely to be a quality teacher if you have a solid foundation of knowledge and experience.